Most will consider the normal way of life is to move out, go to college or university, get your diploma or degree, rent an apartment.... and let life begin. Reality sometimes states otherwise. We don't always have control of circumstances. This is called LIFE. Life happens, good or bad, it just happens. It's what we do with that life experience that will dictate on how we live it. And if life brings you to a place where you feel at a low, know that there is ALWAYS someone out there willing to pick you up again. I'd like to introduce you to Making Changes. Their goal is to create futures for women. Making Changes currently delivers two programs. The first is The Walk-In Closet. The Walk-In Closet offers women with financial barriers a selection of new and gently used clothing from which to choose their new wardrobe, free of charge. The Walk-In closet wants to empower women by providing knowledge and a selection of work attire for their transition into the workplace. It's for women who want to join the workforce, return to school or engage in volunteer opportunities. And with the wardrobe and accessories, they believe that helping them feel and look their best is a start on the right foot. 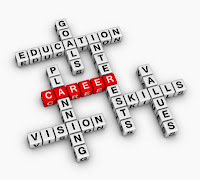 And to coincide with The Walk-In Closet is the second program; Employment and Life Skills Program. This program offers immigrant women an opportunity to increase their confidence as well as to gain information about returning to work, changing jobs, foreign qualifications and going back to school. 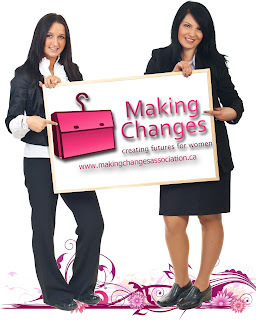 Making Changes has focused programs for unemployed and underemployed women to enable them to enter the workforce and become self sufficient. What a wonderful feeling. To be standing on your own two feet, and feel good about doing it. There are several ways you can help the Making Changes Employment Association of Alberta, including: cash donations, clothing donations, clothing drives, in-kind donations or by getting involved in one of their many volunteer opportunities. How many times have you gone through your closet and said, that doesn't fit anymore. And it's a GREAT suit! Or how many times have you gone through your closet and said, I just don't wear this anymore... and again it's a GREAT outfit. Well now you know what to do with them. Think of Making Changes. There's also another way to give back, and a it's at a GREAT event. Ecole Holt Couture School of Couture Sewing and Design (EHC) is hosting DRESS CODE the fashion event. It's to raise funds for Making Changes Association's Walk In Closet Program. They will be showcasing the talents and skills of EHC couture students work giving a rare in site into the secret world of couture fashion. Guest will enjoy the talent of local musicians, sip on wonderful win and taste delectable delights, plus have the opportunity to mingle with other fashion aficionados, and bid on silent auction items. Plus a VIP event before the show will give guest a rare opportunity to glimpse behind the scenes and meet special guests before the show. The DRESS CODE fashion event takes place Sunday November 18th at the Calgary Winter Club. For more information click here. To purchase tickets click here. This is definitely empowering, and it's timely too. I was feeling a little blue in general and the Walk-In closet will really boost me up. Thanks for sharing this with us.